Tourist trains from Southland to Northland? This post is a news roundup and a few musings on the tourist trains in New Zealand. Readers might not realise but we actually have three long distance train routes in New Zealand: The Northern Explorer between Auckland and Wellington, the Costal Pacific between Picton and Christchurch (currently suspended due to the Kaikoura earthquake), and the Trans Alpine from Christchurch to Greymouth across the Southern Alps. Combined with the Interislander ferry between Wellington and Picton these form a fairly decent network for tourist travel. I’m writing this on the Northern Explorer up to Auckland after a quick night away in Ohakune. This is my first time back on the line in few years and I must say the experience has a been a mixed bag. Overall the train itself is great: the new carriages are well appointed, comfortable, and the panoramic windows are a treat. The outdoor viewing carriage is unique for taking photos (although the fumes and noise from the diesel locomotive make it unpleasant for more than a few minutes). The food and beverage service is reasonable, toilets are clean and spacious. It’s also relatively fast and direct since they have removed many of the intermediate stops. The travel time of ten hours between Auckland and Wellington is better than a coach and competitive with driving, at least once you factor in the need for a couple of meal and toilet breaks behind the wheel. However it’s clear that these trains are now squarely focused on the high value tourist market, if only from the ticket price, any pretensions of being a transportation service for towns along the way are now gone. So what’s not to like? Well the first thing I could gripe about is the terminal in Auckland. Not long ago they moved the Northern Explorer out of Britomart to make the downtown station electric only, and shifted the last remaining intercity train to The Strand station. If you haven’t heard of The Strand station it’s a bit of left over platform from the old railyards behind the Spark Arena… but it might as well be in Outer Mongolia. You can’t get there by local train, you can’t get a bus there, and it’s too far to walk from town or anywhere useful. There isn’t even any long term parking nearby so your only option is to be dropped off or take a taxi. I guess they’re fine with that for their tourist service, assuming everyone would catch a cab anyway. I’m not sure how you fix that in the short term. Putting the diesels back into Britomart at peak times seems like a logistical nightmare, at least before the CRL frees things up a bit, and having them stop anywhere else useful (like Newmarket) would be even worse. About the only thing would be to fix up The Strand into a proper station. In the past we’ve suggested a set of platforms for the eastern line alongside the intercity stop, potentially turning into a grand central terminal over time. This would not only give regular train service to the area around Quay Park and lower Parnell, it would give a transfer station to get from Britomart and the eastern line to the intercity train terminus. My other two gripes are related. To start with the train is too damned busy! Our service is sold out and feels a bit noisy and crowded as a result. The staff are getting a little curt and folk are being hustled through the cafe car without a chance to sit down. It seems the Northern Explorer is a victim of it’s own success. Recall a few years ago they were going to shut it down completely due to poor patronage. However they cut it back to three days a week instead, and introduced new spacious carriages and a faster timetable, at the same time as starting to market the service heavily. Not surprisingly that turned things around and it’s gone from the threat of closure to bursting at the seams. The other thing is that three-days-a-week timetable. There is one trainset that goes down from Auckland to Wellington one day, and back from Wellington to Auckland the next, meaning you can only get a train three times a week. This makes scheduling a holiday a little inconvenient, especially if you are planning a short weekend away. The alternate day service means you only the have the option of staying one night and returning the very next day, or staying three or five nights away. The sweet spot of two nights away for a long weekend trip isn’t possible if you want to go both ways by train. So it looks like they need more trains, more capacity and more services on the Northern Explorer. Luckily it seems this is on the cards. We understand that Kiwirail are building more of their scenic carriages and planning on returning the North Island train to daily service both ways every day. So this should fix both those problems by doubling the number of seats and allowing people to travel either way any day of the week. But what about the South Island trains? Some good news there too. Kiwirail have confirmed they will reinstate the daily Picton to Christchurch trains once the tracks are rebuilt to passenger standard (which might take quite some time), and they are also planning on boosting capacity on the both-ways-each-day Trans Alpine with more or the new carriages. The more exciting news is that they are looking into reinstating the old Southerner route, with $50k of funding for an investigation. This would run south from Christchurch at least as far as Dunedin, and possibly all the way through Southland to Invercargill. This is one of the old train lines that used to run until the early 2000s, and the recent boost in tourism in Canterbury and Otago have prompted them to start a business case for putting the train back in, with plenty of support from local businesses. If that were the case you could conceivable travel by train and ferry from Auckland all the way to the end of the South Island. Given the recent successes of the rest of the tourist train network we can expect the business case to come back fairly positive. Generally speaking a well used tourist train network is a good thing. It brings in extra revenue for KiwiRail without needing anything much in the way of infrastructure and only a little investment in rolling stock. It helps spread around the cost of running the rail network a little, boosts tourist spend and international exposure, and there might even be a few local communities that get a useful transport option. I imagine if they ran the Southerner again a trip from Timaru and Oamaru to Christchurch by train would actually be a fairly useful service for residents of those towns. So where else might we run some tourist focussed train services? Well one obvious line to consider reintroducing is the old Bay Express between Napier-Hastings and Wellington via Palmerston North. Also regular readers will be familiar with our Regional Rapid Rail proposal, which starts with daily train each way between Auckland, Hamilton and Tauranga, and includes future extensions to Rotorua and Cambridge once the not-inconsiderable cost of rebuilding their mothballed rail tracks is taken care of. But what about further north? We didn’t think Auckland to Whangarei was the right fit for the Regional Rapid Rail model, but like we said in the RRR report we are fond of the idea for a tourist train on the North Auckland Line. You could run a similar scenic train from Auckland to Whangarei in something like four to five hours. As a transportation service that’s not a competitive travel time for the 200 odd kilometres: it’s hampered by an indirect route, windy alignment and almost-abandoned state of repair of the tracks. However when it comes tourist trains the travel time isn’t the point, it’s the scenery and the experience. On the tourist train network folks are happy to pay good money to take the scenic route. That sort of travel time would work efficiently for one train each way per day. A single train, driver and cabin crew could head up from Auckland to Whangarei in the early morning, take a break for an hour or so, then return back to Auckland in the early evening, all on one shift. Whangarei still has a half-decent station that could be put back into service, as do the other two main towns along the way (Helensville and Wellsford). All that’s missing are the carriages… and a business case. 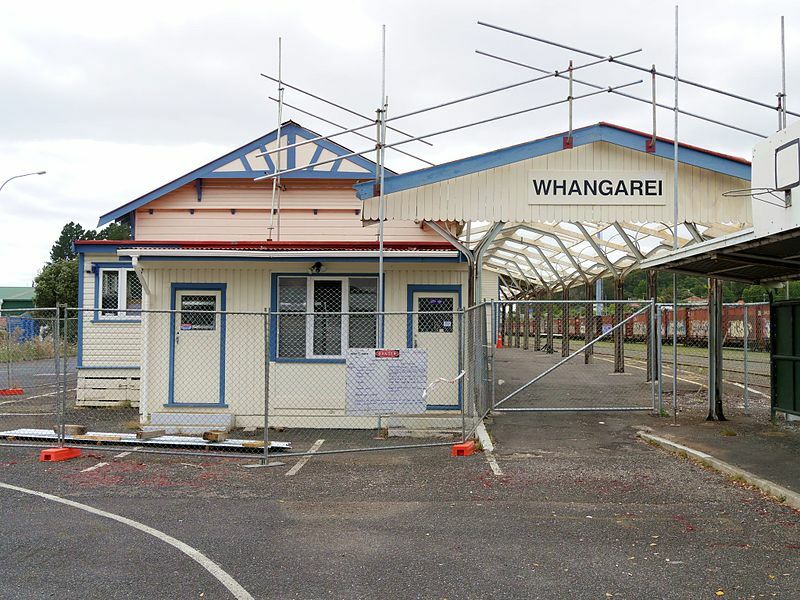 Old Whangarei station… to be made new again? But why stop there? In my mind the logical terminus for a Northland tourist train is actually the Bay of Islands. The line does actually go there, or at least it did back in the day before they cut it back a few kilometres to the rail yard at Otiria. I understand there are plans by the heritage train operator in Kawakawa to reconnect the tracks back through to Opua which would technically return the line to it’s former extent (but probably not to mainline standard). If anyone has wandered around the marina there while waiting for the ferry to Russell, you can actually see the old tracks running through the carpark. With a bit of investment the tourist trains could run up to Opua wharf as the gateway to Bay of Islands, where ferries, coaches and taxis could distribute people around the bay to Paihia, Russell, Waitangi, Kerikeri and Hururu. Just the think for the local tourism based economy. So there we are, a few promising bits of news and ideas that might one day see see a network of tourist-focused train services stretching from Northland to Southland. 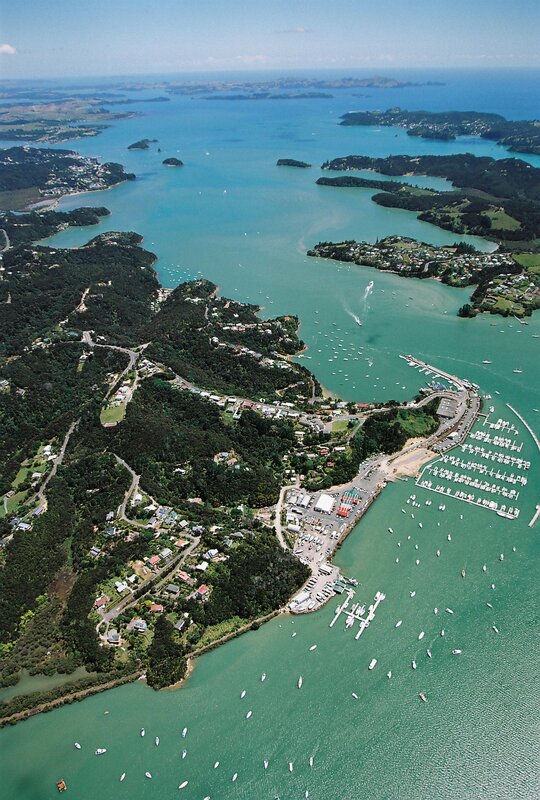 Opua from the air. The mothballed railway corridor can be seen running from the waters edge at the bottom of the picture to the wharf. Russel and Paihia are in the distance. I’m visiting the Bay of Islands this year over New Year’s. I would love nothing more than to be able to take the train up. Instead we have a massive drive and hours stuck in traffic to look forward to. Bike hire is an option. Of course, with a train, you can bike to the station, and bike around at your destination. And align any new cycle trails with tourist train services. especially electric bikes of course! Those northland hills are beautiful, but some of the grades are killers. I’ve suggested many times that the new Parnell station could be used as a tourist train terminus if you ran the track on the other side of the station building (thus restoring its island position). There’s sufficient space for the trains to layover plus, from the passenger pov it’s connected to the suburban network. It would also act as an incentive for the construction of a decent pedestrian connection (over bridge, lifts, etc) from Parnell proper. It’s far from ideal ut anything would be better than the Strand. Yep better than The Strand in it’s current form. Taxi really is the only practical way to get there or away. The problem at Parnell is the land alongside isn’t owned by kiwirail, and is currently being developed into retirement apartments… so it would be very expensive to acquire that land. And its in a gully with no good bus connections?!? Better bus connections than the strand still! Not going to beat my head against a brick wall here, particularly knowing this site’s reiterated opinion of Parnell station, but it’s there; it should be used. Not sure KiwiRail flogged all the adjacent land. Location can be remediated through overbridges and lifts (as at Grafton, New Lynn, etc). Aside from the suburban train network, buses, including the Inner Link, run along Parnell Road and it should be possible to design a coach drop off point close to the station building. The building is suitably touristy and could provide accommodation for all necessary services including waiting rooms, luggage facilities, etc. It would be a damned sight preferable for tourists to enter or depart Auckland from here rather than a desolate wasteland such as the Strand or a remote suburban stop such as Papakura or Henderson. Disagree. Otahuhu would be far preferable if we aren’t going to put it in the actual CBD. At least it’s really well connected. Parnell would require us to rebuild half of the city fringe to make it work. Don’t waste any more money on it, and sure as hell don’t drop high value tourists there with their bags. It’s actually the grade I’d worry about most from a pedestrian access perspective. Even walking to a taxi would seem to be more of a hike than from the strand. And access for multiple taxis would also seem tricky given limited connectivity of surrounding road network. There is no practical way to get coaches or buses there, that’s for sure. I’m inclined to suggest a bridge over to Te Taou Cres, that way they’re close to Beach Rd and Spark Arena – Clear(ish) desire lines to the CBD. KR flogged off every square millimetre in Parnell right up to the track. It’s gone, even forgot, till the last minute, to leave Station access! They are under absurd financial pressure by the government of supposed financial prudence…. Sigh, thanks, Patrick. Yet another instance of KiwiRail’s systemic myopia. New board yesterday, a blast of fresh air through its management and, more significantly, a new governance model, please. Oh and a bit of visionary thinking about next century’s social and environmental demands rather than last year’s profits might help. I remember doing the Napier-Wellington route on a train as a kid, six hours to Wellington. How we’ve gone backwards. Quay Park definitely seems like the right place to terminate intercity trains in the long term. However, this makes the case to link the eastern line to the western line instead of the southern line even stronger. It’s great to see that Kiwirail are expanding this service. It would be great if they can get a bit more service and start getting some economies of scale to bring the price down too. Well with Dual-mode locos, as we propose for Regional Rapid Rail, The even more desirable post-CRL Britomart central slots are even better. Is two platforms enough capacity for an intercity terminal though? You could run eight trains a hour out of a two platforms terminal, with each train dwelling for up to fifteen minutes. The bigger issue is getting to and from the platforms. Sorry, should have expanded again; is the *proposed* two platform terminal *and adjoining layout* enough capacity for an intercity terminal though? Based on the work we did for the RRR, I’d say yes in the medium term, i.e. After the CRL is built but before the theoretical signaling upgrade to 24tphpd… there should be spare capacity to terminate around four intercity trains an hour at britomart. After that, an extra access tunnel from quay park to britomart, or a new terminal would be required. Or maybe just triple, if it was a substantial saving over quad.. A new single track tunnel from the outbound CRL track, under Quay St, then linking to Quay Park Junction back to the eastern line and a grade separated link to the outbound Parnell section would work quite nicely. So the new track would be CRL outbound. This would allow the current northern track in the tunnel to be bidirectional for intercity trains, with the other existing track being inbound to the CRL. A single BiDi track of that length should comfortably allow eight or ten trains an hour each way. That would make Quay Park grade separated for the CRL, and separated for intercity trains (from the eastern line at least). Britomart is clearly the best place for intercity trains, assuming the operations and platform allocations can be made to work. It’s a bit of a shame we didn’t have a significant intercity network before the current rebuild of britomart was started. There is room down there for at least six tracks. With a bit of work they could have had the single track CRL platforms to either side plus a double island terminal with four tracks in the middle. Agree – long term plan should be to return them to britomart. Tell me more about the North Auckland Line. Where did it go from? Didn’t the North Auckland line once run as far as Okaihau, near Kaikohe? The North Auckland line is the current freight line to Northland. Technically it runs from Penrose through Newmarket then out to Swanson (I.e carrying parts of the southern, Onehunga and western lines) then carries on through hellensville, wellsford, whangarei almost as far as kawakawa. It carries a couple of freight trains a day. thanks kyle, that is amazing but also makes me sad. Yes this is a good reference thanks, hard to see the normal faint normal Google rail line markings. This looks rather promising. I’d actually be super keen on the southern route; ive been in dunedin a couple of times and needed to get to Christchurch. Buses and flights are surprisingly scarce down south, and a train would prove handy. Agree. I used to use the Christchurch to Dunedin section a lot when visiting family down in the two places. We’re talking a long time ago now, but IIRC the makeup of passengers then included lots of youth travelling between jobs or education and home, and matrons visiting younger family members, as well as tourists and businesspeople. I asked my teenager a couple of years ago what sort of a holiday he WOULD actually like to do with us (given the resistance to some ideas) and the reply was taking the train to the bottom of the South Island and back… unfortunately it wasn’t an option. Please, bring it on. Though a pain for northern explorer, isn’t there a shuttle service from Britomart to the Strand, or you catch normal commuter train to Papakura and go from there. I came up on the train from Wellington last month and yes there is a free bus from the Strand to Britomart for any passengers who don’t want to walk or catch a taxi. Do you have to book it or anything? Nothing on their website about it seems but remember a notice in Britomart a while back. You don’t need to book. I didn’t know it was available until I stepped off the train and the train attendant was there pointing it out to passengers. RE: The Strand – I think moving from there would probably be more expensive than remodeling the site. Currently, the walkway along the line is poorly signposted, uninviting and not the place for walking alone in the dark during winter. However, I see no reason (obviously, other than cost) why they can’t build a pedestrian bridge or underpass from The Strand to Te Taou Cres. Once in Te Taou Cr, there is a clear desire line towards the CBD and you’re also close to the bus route. RE: Napier-Hastings and Wellington via Palmerston North… That’s going to be a bit more complex than it would seem at first blush. Napier – The station buildings in Munro St Napier have long since been removed. The last remaining one now being the Napier Senior Citizens Assoc building, complete with platform (Google Earth: 96 Munro St Napier). Still, on the plus side the required land is still there (now an unpaved car park). The real cost sink: building the infra required, such as platforms and toilets. Still, not too much money. Hastings – The old stationhouse is still present according to Google, though it was for lease at the time of the imagery. I can’t remember if it’s still there, I didn’t look when I visited HB at Christmas time. You can forget about ignoring a Hastings stop. The backlash from Hastings and surrounding areas would be huge, HB is very parochial and Hastings could definitely do with a financial shot in the arm. South of Hastings – Probably need to upgrade some bridges to get to passenger standard. Take the bridge visible from 172 Railway Rd Sth – It still has wood pilings. Also I seem to recall that the viaduct visible from 1048 Takapau Ormandville Rd has speed restrictions. Actually, that is one of my favourite viaducts on our rail NW, opened on 9 August 1880.
most of those viaducts between danniverke and takapau have had permanant speed restrictions on them for years, I once heard going back to the 1931 earthquake. The Bay Express still made the run in 5 hours or so. On a side note – I wonder if the engineers who built those viaducts knew that they were building on a rather active seismic fault… If not, that’s some pretty impressive engineering! there was a proposed deviation to bypass the area but I dont know how advanced the planning ever was. It’s not possible to avoid seismic faults in HB – The whole place is a mess of fault lines all over the landscape. Porangahau being one of the more active faults. Kiwirail would probably want the stations to be the local councils responsibility, probably not a bad idea if Kiwirail could come up with a standardised design to minimise costs. One thing about the Wellington Napier route is it can be done by one train to provide a daily service whereas the Christchurch Dunedin would need two. I would stick with the Strand station because there is plenty of spare track beneath the Parnell rose gardens to park trains while they wait to get into the station. And yes some sort of bridge over the track from Quay street would reduce the walk from downtown which is not too great anyway. Everyone has wheelie suitcases now as long as the surface is reasonably smooth. The whole walking route could be covered except for the pedestrian crossings. And what about the tunnel under the university that would shorten things heaps plus provide cover on a rainy day. Terminal standardisation is a big thing for KR. The hope was that by standardising the terminals, staff would have an easier time transferring and less opportunity to have/cause an accident due to lack of familiarity. In light of that, I fully expect that KR would _try_ to get the councils to pay for any infrastructure (incl standardised station building), but probably foot the bill at the end of the day. With regard to The Strand, the train actually transits to/from storage via the southern line even though passenger services are via the eastern line. I also seem to recall that the train is normally berthed at The Strand at least 30m before departure. Definitely restore the Napier/Hastings service and while we’re at it what about Gisborne? The cost of repairing the washout is trivial compared with the Rons and I’d like to see the East Coast sharing in any rail revival. I think the key part was “compared with the RONS” – Therein lies the rub. Until rail infra is funded in the same manner as roads, it will forever be seen as an expense instead of a 21st century asset. Frustrating. And in a perfect world, the train line could be re-routed through the Square in Palmy, not stuck out at the end of Rangitikei St. Admittedly its only a short shuttle/taxi ride, but it would be so much better for, say, capital travelers to step off/on right in the heart of the shopping, cafe’s etc. Ironically it used to run right through the square! Yes – the original route through the Square was what I was referring to. If services through Palmy are going to increase to 4 per day (2x Capital Connection, 2x Northern Explorer) which seems to be the case according to this post, maybe there’s a case for a bus connection? The purple route currently turns off Tremaine about 100m before the station, but thankfully Matthews Ave is set up as a nice little loop so you could add the train station to the route without too much difficulty. Plus you’d only have to include the station on services that run near the train times, so some services could still take the current route. Only potential pitfall is that Palmy buses run on a pulse system where all services are designed to arrive at the central terminal at the same time so people can transfer (and from what I see when I walk past the terminal on a regular basis this does work). So adding a stop that requires a few hundred metres of detour plus people loading luggage etc. could mess that up. However, that may not matter if the double frequency currently being trialed on this route becomes permanent and is extended to other routes, as there will always be another bus coming along soon so the Pulse system isn’t such a biggie. KR walked away from Britomart due to having to pay AT a sizeable sum to maintain the ventilation system to remove diesel loco fumes. For three trains a week it was not financially viable, so they went to land they own – The Strand. As AT no longer operate diesel locos in Britomart, they wanted KR to pick up the whole tab. Also worth noting that since the Pike River disaster, KR have had to extensively review their operations in tunnels. Consequently passenger services are not permitted on the Auckland – Whangarei line due to the state of the tunnels. Passenger services are also banned from Kaimai tunnel at present I believe. No doubt there are restrictions elsewhere as well. I believe it was touch and go as to whether they could justify the expense to put Tranz Alpine passengers back through the Otira tunnel, but thank goodness they did. Looks like we have at least passed the low point for passenger rail in New Zealand. The idea of the Southerner being viable 10 years ago would have been laughed at. True that! Also now that Chch airport is rolling out Alipay with local businesses, it makes it easier for Chinese tourists to want to spend money – Incl scenic train trips. Just need KR to support Alipay now to make it a home run. Southerner was viable with continued effort. Management at the time it was discontinued weren’t interested in making that effort. “Not their core business”. I see what you mean about the prices. It was only a few years ago I could get cheap anywhere tickets as long as I booked long enough in advance (I think they were about $39, maybe cheaper for the kids?) Now Akl to Wtn is $199 on the cheapest fare. You can get one for $119 internet-only if you book far enough ahead, but it’s still certainly not a budget option. I’ve just performed internet-gymnastics on their site and have managed to find a $179 fare… a table of dates and fares would be useful, KR. Are you checking from inside New Zealand? Foreign internet users don’t get the special locals-only pricing! If I’m looking in the wrong place, I would love to find out where I should look. I suspect it’s just that at the moment, the furthest into the future you can book is March, which is still a peak time. Maybe when I can book in June it’ll be cheaper? When I click your link I get a $99 WebStarter fare! Note you shouldn’t do it on mobile, for some reason that doesn’t give you the cheap fares. Bizarre. I just tried again, and it’s still $179. Now, I’m not going to feel excluded here… it’s not me against the system or anything… ?? Certainly good to be aware of. I’m using a desk top and it’s not on a work network. I’ll figure out whose computer gets the cheap fares and use that in future. Trap for new players, eh? It would make the difference between making the booking for the family or not making it! Presumably, if the trend of more people using it continues, there might be some better pricing eventually,. That daily service will make a huge difference to usability. The other thing they really need to sort with these trains is bike transport. It’s such a natural fit with the bike trails appearing all round the country and the kind of tourists they are seeking to attract. At the moment if you want to carry your bike on one of these trains it’s an extra charge and the bike goes in with the rest of the luggage, so there’s limited space, no proper racking and risk of chains marking luggage. All they’d need would be an empty box car, coat of paint and some racks inside. That would really set the train apart from coach travel. Agree, and given the lack of PT in many places, a bike would be handy, even if you’re not doing a bike trail. My research in Ireland had me visiting four sites on three different train lines. I would hitch-hike between sites, but if I was going to be staying at one site for a while, I’d take my bike. In other words, I hope these train lines will eventually serve non-tourist passengers too, but both tourists and locals could benefit from a bike box car. I know, I’ve done it many times- I used to use the Coastal to commute Christchurch-Picton. Limited space is a significant drawback, as is the lack of proper bike racks. That’s why I say they need to sort it out. A tourist train with 120 passengers should be able to accommodate 10+ bikes with ease. Went to the New Zealand travel show a few weeks ago and kiwirail were there. Apparently they are to introduce extra bike capacity next year, hopefully. Roturua is the gaping hole in a tourist train network. Its ludicrous to me that there isnt a decent train service between Auckland and Rotorua for tourists. Indeed, but unfortunately they closed the Rotorua line, ripped up the end of it and demolished the station… so there’s plenty of money required to get it going again. Whilst slightly inconvenient, it doesn’t appear to stop too short of a viable link to the town centre. When I last looked several years ago the formation appeared to be mostly in place and track could be relaid relatively easily I think. There’s a bus station now where the original rail station stood but I don’t believe it would be outrageously expensive to restore tracks right back to the city. They’ve recently built over the old alignment with new roads and buildings. There are now several factories built on site of the rail tracks as of this year sadly. If Northland could get its public and specialist freight transport sorted, it could develop a thriving economy in the growing of subtropical fruit and a local low-carbon tourism industry. Its warm climate means that midwinter sea temperatures in Paihia, for example, are comparable to midsummer sea temperatures in parts of the UK. Not much of a comparison, perhaps, except that people in the UK used to be quite happy to go to the UK seaside, before the fossil-carbon-saturated tourism culture started. If NZers were to examine their carbon footprints, locally grown fruit and local holidays would play a big part in their lifestyles. I think a passenger and specialist freight train up to Opua and beyond, plus a good complementary bus network, could be part of a really unique development plan for Northland. Priced properly, it could provide work and training opportunities for youth, improving social and health conditions. +1 the Bay of Islands is almost perfect for an extensive ferry service too. I would have stopped at “almost perfect”. Top of North island and top of south island are ny fav parts of country. Wouldn’t it be so nice to go to the Bay of Island and not have to face that road. Whether its in a bus or a car. The railway line between Opua and Taumarere is now a rail trail (also between Otira and Okaihau), so reinstating the Opua – Taumarere section would be costly and inconvenient. Given the hilly terrain around Opua, the railway line would have to go along the coastline, which would separate the beaches from the sea. I must say, needing to reinstate the railway was my argument against using them for bike tracks in the first place. However, I agree the train shouldn’t run beside the beaches. Part of it is on the old rail alignment, but part of it is alongside the rail where the heritage train still runs. So you’d have to extend the side by side treatment to the whole route. I’m pretty sure there aren’t any beaches along that last section, and no other public access to the water edge. The issue is with the part between Opua and Paihia where there was never a railway line – there are definitely some beaches there. Oh right, yes we’re not suggesting extending the line to Paihia, just to the old terminus at Opua for ferry/coach/taxi links around the bay. Cheers, that looks very elaborate! Any details on exactly where the station would be located? Hard to see any train service being competitive purely for A-B travel. An electric shunt could be used to push diesel trains in & out of Britomart. Without the 3rd or 4th main it wouldn’t be able to overtake the Auckland passenger trains. In which case, terminating the Northern express at Papakura and transferring to local trains would be no slower, and get you to Britomart or any other station. To be fair, you can’t compare the amenity of a bus vs the train. Is it worth the price premium? Perhaps, but that’s an individuals call. It’s only $127-137 to fly Air NZ (if you book for the 30th) according to a quick Google. Book two days earlier and save $20 on that. Again, the extra cost provides even more comfort (and speed, in this case) but comes with less convenience (and more cost) at each end. The point that I was rambling towards was that you’re paying for the comfort and experience. If I didn’t wish to fly, I’d prefer the train over the bus. Better seats, can get up and take a walk. Coffee and food. Lots of photo opportunities, especially on the Raurimu Spiral. For me, the photos alone make the train a better option than the bus. I saw a few weeks back a deal on GrabOne or Groupon to fly to Wellington, stay night or two in a hotel & return via the train. Maybe just a winter thing while a bit less busy perhaps. Would prefer other way around though I think so entering into Wellington scenic version? I think there might be a case for dual-mode tilt trains operating Auckland-Wellington. The distance from Britomart to Wellington Train Station is 681km. If a train could operate at an average speed of 100 km/h, this the journey would take less that 7 hours. If the train left Britomart at 8:00 am, it could arrive in Wellington by 3:00 pm. The return could depart at 3:30 pm, and arrive in Auckland at 10:30pm. This would enable one train operate a daily service in each direction. With another train, both morning and afternoon departures could be available from Auckland and Wellington. A fast and daily (or twice daily) service should be just as popular as the Northern Explorer, while also being able to charge a premium over the coaches due to it being 4 hours faster. Tilt trains are only as good as the track you run them on though. There is a big stretch of track through the middle of the North Island that would need a lot of work to get that sort of average speed. But if you could do that sort of time that would be great, you could have two trains making two return trips a day, giving you the choice of the morning or afternoon train in both directions. Why is Britomart continually discounted as a terminal station. It has a ventilation system which has now been turned off by those wishing to cut costs. Just turn it back on when a diesel is due and off a while after they leave. Use Britomart after the CRL opens as there will be plenty of spare platform space with the complications being will the long distance trains fit on the existing platforms and can the paths for them be granted. Running into Britomart solves all the easy access problems for passengers. Of course an electro-diesel would solve the fumes problem and also save some fossil fuel under the wires on the NIMT and the Wellington area. I don’t know if there’s anyone on this website who is actually sure what the cost of running and servicing the diesel extraction systems is, it must have been significant because Kiwirail chose to set up a new station rather than pay for it. If Labour or the Greens are not part of the next government, it is quite possible that the CRL will be open before Stage 1 of the RRR plan can be implemented. If that is the case, then it would be ideal to operate the Silver Ferns right into Britomart, as there would be the capacity to do it. This would require the ventilation be switched back on. The main reason the moved it is Britomart is currently completely full running the suburban schedule. Also, when the Northern Explorer was using Britomart it occupied a platform for 30 minutes or more while passengers checked in and loaded on their luggage. It was a slow and inefficient use of scarce platform real estate in a busy station. Having said that I do agree that intercity trains should absolutely be arriving and departing from Britomart but until the CRL opens it may not be feasible. I have in my possession an old Tranz Scenic timetable, effective from 20 October 2000. There were 8 long-distance trains: The Overlander, The Northerner, The Kaimai Express, The Geyserland, The Bay Express, The TranzCoastal, The TranzAlpine, and The Southerner. The timetable also included the Wairarapa Connection, The Capital Connection, the Waikato Connection (a composite of the Kaimai and Geyserland services) and the Kingston Flyer. And for those that think the Northern Explorer is faster now because of fewer stops, The Overlander used to leave Wellington at 8:45am, arriving at Britomart 7:35pm (10h 50m), with 18 intermediate stops (and generally with loco-changes and electric haulage between Palmerston North and Hamilton!). Even the overnight Northerner could do it in about 11 hrs with 20 intermediate stops. What a place New Zealand was before the depredations of Messrs Fay and Richwhite and the appointment of CEO Michael Beard as hatchet-man resulted in most of these services being lost and the entire network being run down. And all thanks to the decision by the National Government’s under Jim Bolger to privatise rail back in 1993. How long did the Southerner used to take between Chch and Dunedin? I’m wondering, if they brought it back but only to Dunedin, could it do the return trip in a day- like the Coastal Pacific does? Yes that’s promising for a single train making a return trip each day. the record auck to welly was set in the 1960s pre electrification alignment, between 8 and 9 hours. With those timings you could just about do Picton – Invercargill in a single day trip. Gary, yes that might work. However the current Coastal Pacific to/from Picton is timed to meet the lunchtime Interislander ferry and from what I’ve seen quite a few of the passengers on the train are also ferry passengers. If the southerner goes to Invercargill. Is it possible to link some kind of tourist service package to queenstown using the Earnshaw (this is a very old tourist route but I think most of the tracks are still there Kingston branch and Wairio Branch lines I think). It would be a very tourist line but it would add to NZ experience. (You could go from Auckland down the island, catch ferry, Catch train to Invercargill (with some stops along the way), go up to Queenstown and then fly to Auckland. Unfortunately the rail was never completed to Queenstown, and all three lines that got close to it have all at least partially become rail trails. I agree that a Tourist Train to Queenstown would be great. However I don’t think that their was any potential for fast trains on these lines, as they were just not straight enough. A rail line into Queenstown would help fix the overcrowded airport issues. Awesome map! Thanks whoever did that. I was also wondering how difficult it would be to connect Kingston to Invercargill – would make for a great tourist experience. But this map suggests it would be pretty hard. For quite a long time Kingston had the benefit of two rail connections to the Main South Line: via Gore (Waimea Plains line), and via Invercargill (Kingston Branch). Parts of the old Waimea Plains line have been lost to development since it closed. I think, however, one of the major hurdles for any new rail services to the Queenstown Lakes district is, given the length of the lines that would need to be reinstated, just trying to develop a viable commercial business case. Tourism alone wouldn’t make enough revenue to build the infrastructure let alone keep the operation going. Though tourism was big business for the Kingston Branch in the latter years of its operation by the Railways Department, when the line became severely damaged it just wasn’t enough to justify keeping the line open. New Zealand’s remaining tourist trains (at least the KiwiRail ones) are still around in part because they run on lines that are first and foremost busy freight lines, and that is where the line’s main source of revenue is. Even most of New Zealand’s private heritage rail operators had the advantage of being able to assume control of former national network lines to run their trains on. Agree, also the the biggest flows of tourists into Queenstown are from Christchurch via the Lindis Pass and the West Coast via the Haast Pass, neither of which have ever had rail connections. There was also talk of extending the Mossburn Branch (ex-Lumsden) through to Te Anau, but I guess they never could make a viable case for it whilst the Kingston Branch was still connected to the national network. The irony being that these days, like Queenstown, it is a busy tourist destination. Tourists generally like to see the top activities, which is understandable as it might be a once in a lifetime trip. While the Southerner and North Auckland lines are scenic in their own right, they don’t quite compare with the Tranzalpine and Coastal Pacific. Therefore they would likely have to be priced a bit lower, but if Kiwirail can make that work financially it would of course be a good thing. When I took the Coastal Pacific a number of years ago it had an old carriage that they called the ‘backpacker carriage’, with much cheaper pricing than the better carriages, this might be worth a go on a revived Southerner. I think they should look at two classes, high value luxury for those that want to pay for it, and cheaper no-frills for those that don’t. I used to use the overnight Auckland – Wellington service occasionally before it was scrapped. It was cheaper than the daytime service though not so easy to sleep on, even with semi-reclining seats. i’ve often thought that you could fill a carriage or two with basic backpacker type bunks and run a cheap overnight service for travellers. I think you’d fill it in the summer months. About to do Mana bus version of that for $50 & $70 return, would of been cheaper if booked earlier, but I’m sure train version would be nicer. Have yet to do the northern explorer sometime, but $ and timing was wrong. KiwiRail are not building new carriages, at least not yet. They closed Hillside where the AKs were built, and are scoping out the possibility of manufacturing more in China or elsewhere (to be class AJ, similar to an AK). No decision has yet been made AFAIK. The new carriages are to replace the existing Northern Explorer set, which will be sent to the South Island to boost the carriage fleet there. The Northern Explorer will still operate three days a week. Other new carriages will be for charter service. KiwiRail hasn’t had a charter carriage fleet for three years now, after withdrawing their non-AK cars from service, but apparently want to get back into charter operations. The Bay of Islands Vintage Railway is reopening as far as Whangae Bridge, about 1.5km from the end of the line at Opua. That last 1.5km was sold to the council for the area to be developed, and the railway is being removed. There is also no railway line between Otiria and Kawakawa, so several million would need to be spent laying new track and relocating the cycleway that currently uses the formation. The Northern Explorer isn’t faster without intermediate stops. It was actually an even faster schedule back when it had 15+ stops along the way. The current timetable has a lot of redundant time built in, which IMO is unecessary. It regularly arrives in Auckland and Wellington up to 30 minutes ahead of schedule, so they could actually add intermediate stops without slowing the timetable quite easily if they dropped the policy of building redundancy into scheduling. The real reason they don’t like intermediate stops is because it means empty seats. If someone travels from Wellington to Taumarunui, the seat could then be empty the rest of the way, which is interpreted as lost income as (in theory at least) a Wellington-Auckland traveller had to be sacrificed to make space for the Wellington-Taumarunui traveller. They used to get excellent utilisation of the Overlander carriages, as after running Wellington-Auckland during the day, they would return overnight to Wellington as the Northerner. The Northerner had good patronage too, but it was cancelled due to the operator of the day (Toll) wanting to redeploy the locomotives and drivers to freight services. A freight train generates more income than a passenger train. So with Hillside closed is there any way that some of the stored SAs could be upgraded (with toilets,platform steps etc) to enable their use on RRR stage 1 until dual mode multiple units are ordered/delivered? Is there no other KR carriage maintenance/upgrading facility? My train back from Ohakune was twenty minutes late into The Strand, which combined with arriving 30 minutes early on occasion indicates a a wide spread. So it appears reliability is an issue and they do need to schedule a lot of padding into the timetable. Nick, any idea what the current rates of disruption leading to having to put passengers on buses are? I haven’t taken the Northern Explorer for about 4 years, but prior to that I took it quite a bit. I didn’t mind the occasional one or two hour delay. Being put onto a bus for half the journey, though, that was horrible. And I don’t know if I was just unlucky, but it happened all too frequently. Nick R, best discussion in a long while. We have a great country for regional rail, whether it is main trunk or branch lines. Just need some leadership to get Govt funding and get the Regional Network (Tauranga, Hamilton Auckland) going and then reopen the Rotorua line, upgrade the main trunk and the Northern Line. I am certain that a lot of folk would just grab the opportunity to travel by rail. If Waitakere Tunnel is a no-go, then so should various similarly restrictive tunnels on the NIMT which the Northern Explorer goes through – e.g. Pukerua Bay-Paekakariki, Mangaweka, Mataroa. The main concern is with tunnel no.2 on the NAL, the Makarau tunnel. The Northern Explorer service needs to be put back into Britomart. Is this a problem caused by having a number of companies involved? Certainly having the Explorer leave from Britomart is the reason I noticed it, and decided to do two trips to Wellington. Now that it leaves from The Strand without a shuttle service I have no interest in the product. How about it’s called a commuter service rather than a tourist service with faster journeys without losing the station stops. Maybe on those possible alternate days? This potential tourist looked at the the Transalpine for a day trip to Arthur’s Pass. Just too expensive at the present exchange rate for GBP. So we changed our plans. About GBP 150 was just too much. It is cheaper to do the Christchurch/Greymouth day excursion than the Christchurch/Arthurs Pass day excursion on the TranzAlpine train. The unofficial reason reason, there is not enough passenger between Arthurs Pass and Greymouth, so Kiwirail covers their costs with a higher Christchurch/Arthurs Pass day excursion fare. 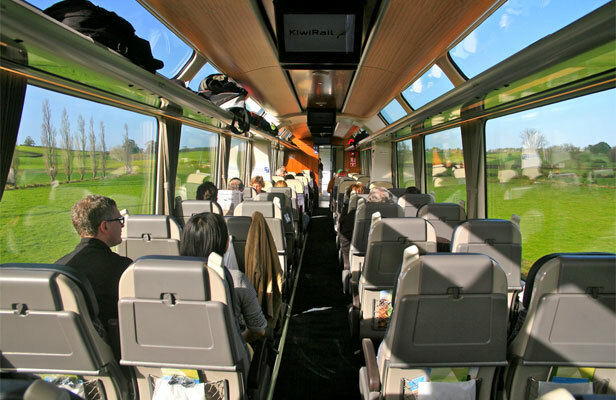 A Rotorua tourist express to Hamilton would allow people to take the train to connect with the Northern Explorer at Hamilton mid-morning, and pick up Rotorua-bound patrons who started in Auckland. Then back to Rotorua. Same again in the afternoon in time to drop off passengers to Auckland and pick up Rotorua-bound passengers who started in Wellington. The co-ordination would enhance numbers for both services. For a Napier – Wellington service, serving major intermediate population centres is essential if its to have any hope of viability. Any future nothern Wairarapa Line service would probably be similar to past: to Palmy. Yes, it does miss those centers ( currently served by the Capital Connection in any case) but interestingly it does NOT miss Pahiatua, Eketahuna, Masterton, Carterton, Greytown, Featherston, Upper Hutt etc. Remember, I am talking tourism and I care to think that this side of the ranges is arguably more scenic than the west side. I am not sure but I believe that the ETA to Wellington would also be quicker than the other route. I would expect that the majority of people would get on/off in Wellington for a Wine tour or other escapade to HB via the other wine district Wairarapa. It is not the people getting on in those intermediate stops that matters, it is the local attractions of interest.